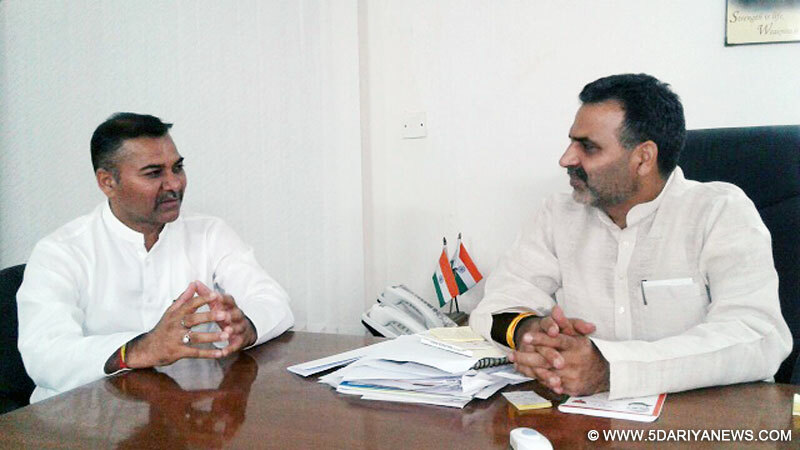 Vice Chairman J&K State Advisory Board for Development of Kisans, Mr. Daljit Singh Chib called on Union Minister of State for Agriculture Dr. Sanjeev Kumar Balyan here today. Mr. Daljit Singh apprised the Minister about state’s agriculture scenario and raised issues pertaining to farmer’s welfare. He also requested for increase in overall fund allocation to the state under Agriculture Sector and sought assistance for promoting organic farming.The Minister appreciated the efforts of J&K State Advisory Board for Development of Kisans for upliftment of farmers and making them aware about the modern techniques in Agriculture Sector. He assured the Vice Chairman of all possible help from the Central Government so that the Agriculture Production gets a fillip in the State.